These photographs of Daisy Dares You (below) and Chipmunk (below) were taken on Tuesday night at the iTunes festival in Camden. It was one of the final few iTunes festival shows to be held at the Roundhouse throughout July. To view a slideshow from the night of each artist click on their individual image. Daisy Dares You (Daisy May Keeley Coburn) has only released one single titled ‘Number One Enemy’ but has already attracted a lot of media attention being been profiled by The Times, the BBC, and The Guardian as a young artist to watch for in 2010. Her debut album ‘Rush’ is scheduled for release in August. 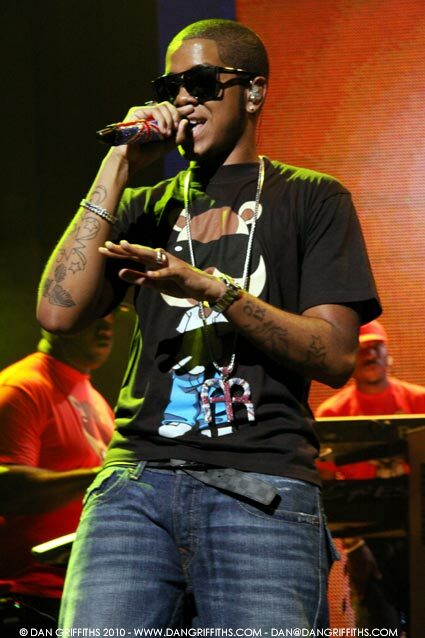 Chipmunk (Jahmaal Noel Fyffe) won the Best UK Newcomer at the MOBO Awards 2008. He also won Best Hip-Hop Act at the MOBO Awards 2009, overcoming US stars such as Jay-Z, Kanye West and Eminem.